Opening Ceremony, as well as exclusive styles, prints and colours. orders in-store and take advantage of mobile check-out. with a VIP event, co-hosted by actor Ansel Elgort and DJ’d by Kaytranada. and model, Julia Restoin Roitfeld. 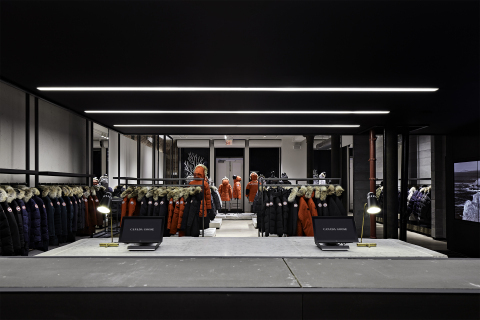 retail store opened in Toronto at Yorkdale Shopping Centre last month. Bears International. Visit canadagoose.com for more information.